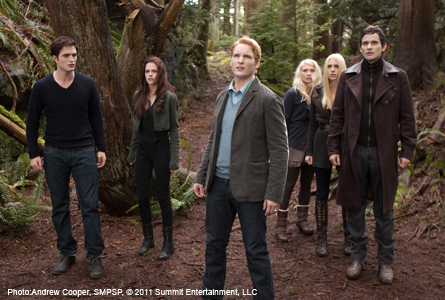 THE TWILIGHT SAGA: BREAKING DAWN -PART 2, New Images! “The Twilight Saga: Breaking Dawn- Part 2” opens in theaters November 11, 2012. The last in a film and novel franchise that will leave fans either satisfied or wanting more still. In the meantime, Summit Entertainment has released a fresh slew of new images! After the birth of Renesmee, the Cullens gather other vampire clans in order to protect the child from a false allegation that puts the family in front of the Volturi. Source: IMDB. 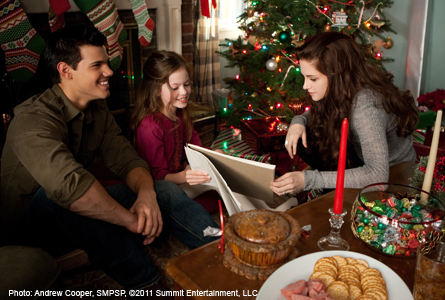 It’s Christmas time for the Cullens and Jacob (far left). (L-R) Robert Pattinson as Edward, and Kristen Stewart as Bella. Kristen Stewart stars in “The Twilight Saga: Breaking Dawn-Part 2” as a newly changed vampire. 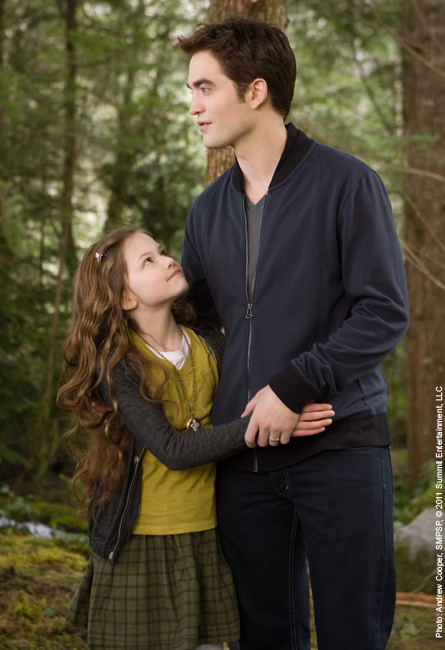 Mackenzie Foy as daughter of Edward and Bella, Renesmee, with Robert Pattinson. 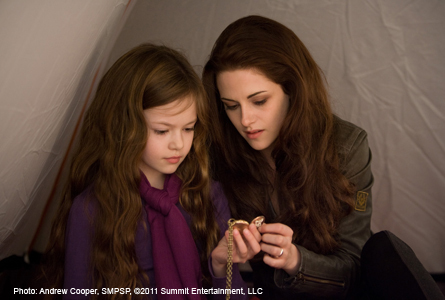 Mackenzie Foy (Renesmee) with Kristen Stewart (Bella).